Welcome to the December 2013 Edition of the HamSphere Newsletter. There have been many comments, rumors and speculations recently about the HamSphere 4.0 and we shall try to answer your most frequently asked questions here. 1. What is the difference between 3.0 and 4.0? The biggest difference between the systems is that the new 4.0 will use geographic coordinates for each operator. This means that the communication ability between operators will be determined by the sun's radiation and by the time of the day, very much like the real Shortwave band. This introduces a new exciting parameter to the hobby where skills play a big part. The more experienced you become, the better contact you will have. * Better Signal to Noise ratio = easier to hear stations. * Narrower communication bandwidth = less splatter and will accommodate more stations per band. * Real USB and LSB modulation. * Both Transmitter and Receiver AGC's (Automatic Gain Control) for smooth and leveled audio. * Plug-in Modules. Design your transceiver to suit your communication needs. * Real shortwave simulation providing for higher and more stable signal levels. 2. What will happen to 3.0? The HamSphere 3.0 system will continue working as it does today apart from some band changes and signal quality improvement. The signal levels of 3.0 will be much more stable in the new release. The 3.0 system will not have the virtual shortwave simulation like today and that will benefit the operators. Your current 3.0 Transceiver software will require an upgrade to work in the new network. This upgrade is included in the subscription. The 3.0 will keep the 6-meter band and receive two new bands: 2m and 70cm with worldwide coverage via linked virtual repeaters. HamSphere 4.0 will utilize 10m, 11m, 15m, 17m, 20m, 30m, 40m, 48m, 80m and 160m with full Ionospheric simulation using antennas and propagation based on sun spot numbers. 3. Will my logbook work in 3.0 and 4.0 and will my old logged contacts still be valid? Yes, the log entries will be marked with 3.0 or 4.0 so you can use your logbook for both systems. All your old logged QSO's are valid. 4. Will I be able to send QSL cards in 3.0 and 4.0? Yes, everything will work as before. 5. Will I understand the 4.0 system? Absolutely! HamSphere 4.0 will provide a basic setup for starters that will not be much more complicated than 3.0. And you can later add features (plug-ins) to the transceiver to make it more efficient once you start understanding shortwave propagation. 6. Will the sound of 4.0 be different? Yes. The 4.0 transceiver has real USB/LSB transmission and better filters making it sound extremely realistic. It sounds even more like a real Ham Rig than 3.0. 7. What will happen to the 3.0 awards? And will there be new awards made? The 3.0 awards will be handed out and issued just like before. You will still be able to benefit from 3.0 contacts and you can continue hunting DX on the 3.0 system. However, we will not make any more 3.0 awards than there are at present. For 4.0 we will present a whole new set of RSS Awards (Real Shortwave Simulation). These awards can only be obtained by making RSS contacts on 4.0, which has a real challenge to it. RSS awards will also come with subscription extensions based on the level of difficulty. 8. Will there still be contests and activations on 3.0? Yes, we will still have contests and activations for the 3.0. In 4.0 the contests and activations become really exciting as these can be virtually operated from the exact Latitude and Longitude of a DX location. 9. Will the 4.0 software be included in the subscription? Yes. The standard 4.0 transceiver will be included in your Subscription. Tests of the new 4.0 server have been conducted by a small 4.0 test group in November and December. The purpose of these tests has been to verify that the simulated radio wave propagation in the software correlates to the real shortwave world. We have tested up to 28 different antennas as far as gain and pattern concerns. We have also made power tests of the new HamSphere 4.0 transmitter that is able to modulate true USB/LSB. The objective has been to make sure that contacts can be made all over the world with 100 watts only. We are currently not taking on more 4.0 server testers. 8 Element Yagi antennas for 10-80 meters. 3 Element Quad antenna for 15m. 6 Element Quad antennas for 17 and 20m. 135 degree inverted V for 80 meters. Folded dipole for 80 meters. Quarter Wave vertical for 20 meters with 4 radials. G5RV - Resonating on 3770 kHz. GP Monopoles for 10-160 meters. NVIS antennas for 80m and 160m with extremely good ground. Equilateral Delta Loop, 40 m 30' base height, very good ground. Half Square, 40 m, 10' base height, very good ground. Lazy-H multi-band 88' x 44', 40 meters, 95' above average ground. 80m-10m H-Quad Loop Omni. 30m above ground. We are taking requests for beta testing the new HS 4.0 beta plug-in modules. Please email beta@hamsphere.com if you are interested in becoming a tester. We are accepting about 50 testers in the first run. Expect the beta plug-in software in first quarter 2014. Radio propagation is the behavior of radio waves when they are transmitted, or propagated from one point on the Earth to another, or into various parts of the atmosphere. Radio propagation is affected by the daily changes of water vapor in the troposphere and ionization in the upper atmosphere, due to the Sun. There is a correlation between sunspots and propagation conditions. Sunspots are dark regions on the surface of the Sun. There are more sunspots when the Sun is more active, and produces more radiation, which can affect the Earth's ionosphere. The sunspots appear in cycles of 11 years. Due to the sun's radiation and flux values, we can expect different propagation during dark respectively light hours. HamSphere 4.0 is based on real shortwave propagation including sunspots and solar flux values. As a shortwave listener or a shortwave Ham operator you are already fully aware of these conditions and you carefully plan your antennas, transceivers, QRV times and locations for these phenomenons. 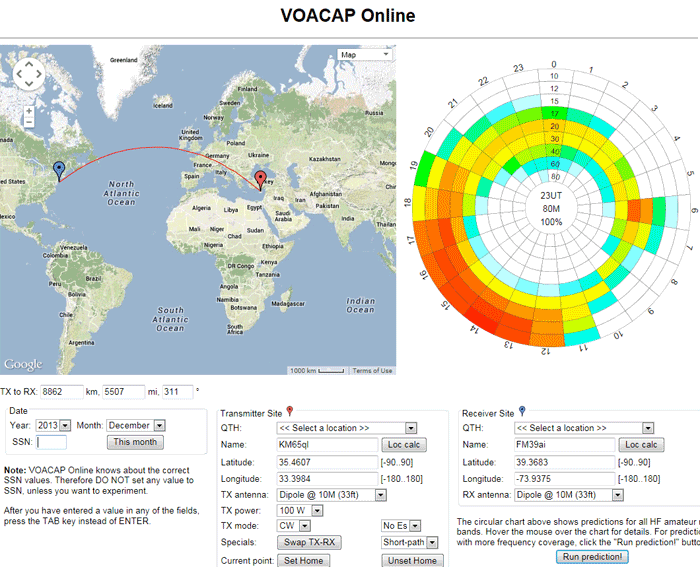 Voice of America's transmitter technicians and planners have used a sophisticated area coverage analysis program called VOACAP for years. This program is now available to the public and can be used as an online service. This is a good opportunity for you to explore these propagations hands-on. Just follow this link to the VOACAP Online system and start exploring it. The VOACAP Online prediction system is the most accurate system on the market with over 50 years of radio propagation experience built in. Thanks to: Jari Perkiömäki, OH6BG/OG6G who avidly keep this "work-in-progress guide" alive. You basically drag and drop the QTH for Transmitter and Receiver and the predicted radio propagation is displayed as a colored "pie-chart" with probability calculations for all bands over 24 hours. You can also experiment with different antennas, transmitter power and sun spot numbers. We have seen an increased amount of unsolicited spam and commercial advertising on HamSphere. The Ham Radio bands are and should be kept commercial free. There are strict rules for licensed Amateur Radio operators and advertising. HamSphere makes no difference. We remind you that it is strictly forbidden to advertise external websites, blogs or products on the chat/cluster, forum or our facebook pages either verbally or in text form. India DX Net made a very humble beginning on 2nd August 2013 with only three checked in users on the first day. We have moved forward and grown into one of the most active daily net on HamSphere. After 130 days of regular operation the net has matured and evolved with well-defined objectives in place. Operators from all countries around the world are cordially invited and welcome to check in to the net and participate in ongoing discussions. Initially the net used to run with difficulty for one hour every day. Now it runs for about three hours every day and quite often the net control operator is in a dilemma on how to conclude the session due to unending activity. The India DX Net is a thriving and vibrant directed net where we discuss any topic specific to HamSphere and Ham Radio in general. Topics for discussion are tabled by participating operators and are taken up, commented upon and answered by other operators under moderation by the net control operator. We endeavor to use the excellent pool of talent of participating operators to clear doubts and misapprehensions on any ham radio issue either technical in nature or related to operating procedures. India DX Net is careful to propagate only authentic information and refrain from indulging in speculations and rumors. Of late we have addressed many questions related to upcoming HamSphere 4.0. We also take pride that we have been instrumental in motivating many trial users to become regular subscribers. 1) Create a conductive environment and regularly conduct informative discussions about HamSphere and Ham Radio. 2) Welcome and assist new operators to learn proper operating procedures and get over the initial shyness to press the PTT button. 3) To assist new rare DX operators, handhold and firewall them from unruly pileups during the initial stage and ensure that they learn to swim in the deep by themselves. 4) Organize and conduct special sessions on specific topics from time to time. 1) One day special session on HamSphere: Rules and regulations with VE2QK Jim. 2) One day special session on: CW operating techniques on HamSphere with 44HS852 Eric and 4S7DA Denver. 3) Three days special session on: Fundamentals of HF propagation and Antennas by VU2NSB Basu with 4S7DA Denver and WB2TKR Joe. 4) One day special session on: Exciting features of upcoming HamSphere 4.0 by VU2NSB Basu. India DX Net plans to host more specials sessions in future. Here are the results from the HamSphere, "Halloween World QSO Party Contest 2013" that was held 2013-10-27 08:00 through 2013-10-27 22:00. The results are based on a properly filled out logbook and that power limitation were kept. Congratulations to 4N1CW who won this contest with the score of 18012. Well done! Contest starts 2013-12-26 08:30 and ends 2013-12-26 10:59. Phone: 40m, 80m. Work as many stations as possible on 40 and 80m. Multiplier for dual band QSOs. We are looking for Spring 2014 Contest suggestions. Feel free to email contest@hamsphere.com if you have any ideas. You can even become a Contest-Manager. The signals on HS4.0 are very realistic and sound so close now to SSB Amateur Radio transceivers. The changing conditions and propagation on the bands makes the whole experience so realistic. Communication can be challenging as signals can fade, and careful choice of antennas and beam directions have to be made – but that is what radio communication is all about. Here is a nice set of instructions on how to connect your Keyer up to HamSphere by Peter 9H1RN/BV. Nothing could be simpler. Sound out of headphones socket on Laptop to Radio In of Keyer Unit. Sound out of Radio Speaker on Keyer Unit to Microphone/Line-In socket of Laptop. This forms a closed loop as the photo of the circuit diagram shows that the sound passes straight through the Keyer Unit. The Keyer side tone being added to the sound (line TxAUD) as it passes through the Keyer Unit. The problem is you can’t hear any sound because of the closed loop so a breakout has to be added. Hence the 2 into 1 stereo connector at the Laptop. As it is a closed loop the connector can be placed into either Laptop socket. This is where I plug in the headphones so I can hear the received signal. When I go to transmit the side tone then goes to the Line-in socket. Hereafter it’s just a matter of getting the right audio levels. I set the HamSphere Volume to Max and use the laptop buttons to set the receive volume. The level is the minimum to light the Lock LED on the Keyer Unit. The Keyer Unit then decodes the Morse received. I have a volume control on my headphones to adjust to a comfortable listening level. I set the volume control on the Keyer Unit to the same minimum level to light the Lock LED when the paddles are operated. This gives the same audio level as the received sound. I set the correct level of ALC in HamSphere on keying with the PTT pressed. When operating I have the VOX active with a level of 2, the PTT hold is off so HamSphere automatically transmits on the start of keying the paddles. The advantage of this method is that my Morse sounds do not upset anyone else in the household or vicinity and I can operate into the late hours without disturbing anyone. Hope to hear many HamSphere users trying CW on HamSphere! 29 SEPTEMBER 2013, 06:00 - 10:00 UTC, LOHS/BEL002 Xpedition to Lange Nell Lighthouse, Belgium, OP: Luc 16HS222. 16 OCTOBER 2013, 03:00 - 08:00 UTC, IOHS/AS107 Xpedition to Koh Larn Island. 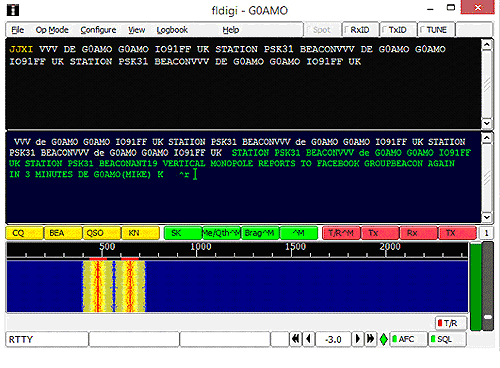 19 OCTOBER 2013, IOHS/EU116 Xpedition to ISLE OF MAN, STARTED AT 17:30 UTC, G4IBW RICH. 2-3 NOVEMBER 2013, UTC started: 12:00 to 16/17:00 UTC, COHS/GM378 - Airth Castle in the Falkirk area of Scotland. OP: 108HS5218 Brian. 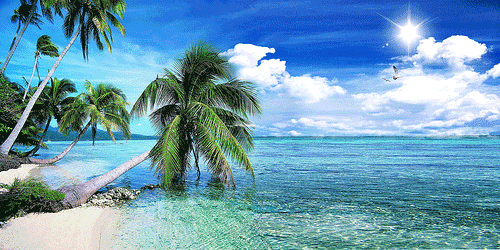 13 NOVEMBER STARTED AT 16:30 UTC, IOHS/NA069 Xpedition to PINE ISLAND, OP: W1AL Scott. 30 NOVEMBER 2013, LOHS/BEL09 Xpedition to Nieuwpoort East Pier (Red), Belgiuma, OP: 16HS222 Luc. IOHS/EU120 WAS A SUCCESSFUL XPEDITION! Many thanks to RICH - G4IBW for his excellent work working handling the pile up! Thanks go out to.... Marcin - 161HS363 for setting up this Xpedition for G4IBW! request as to where you would like to set up your own HamSphere Xpedition through HamSphere. Special event QSL for telethon results: 24 Telethon operators from 11 countries make 650 qso and sent the Telethon special QSL cards to 30 different countries in the world. We were on 27.580 in DSB for 50 hours Friday 6th, Saturday 7th and Sunday 8th December! Some operators were QRV in CW and SSTV. The French Telethon was organized by AFM (The French Muscular Dystrophy Association AFM-Téléthon), which is composed of patients and their families who are affected by a genetic, rare and progressive illness that leads to heavy handicaps such as neuromuscular diseases. The Telethon, a French fund-raising event, belongs to everyone! It takes place the first weekend of December every year with the help of hundreds of thousands of volunteers, millions of participants and lots of artists. The Telethon is also a 30-hour French TV show on a public channel. For 2013 Telethon receive 78341598 Euros. 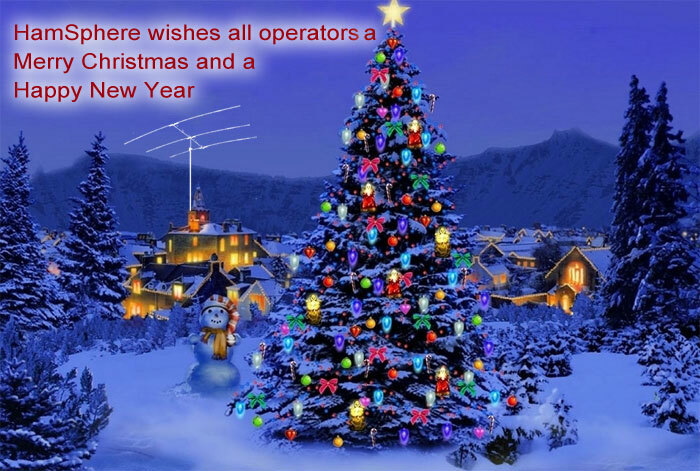 Thanks to 93HS101, Joseph from Malta who contacts 17 operators (15 in DSB and 2 in CW). Thanks a lot to the 24 operators from France, Algeria, Palestine, South Korea, Canada, Brazil, Belgium, Australia, Portugal, and United Kingdom who make a relay on 27.580 for 50 hours! Special thanks to F5JFT: Vincent who made the QSL design and to VE2QK Jim, 14HS2117 SEB who helped to organize the event. I hope we can organize again a special event QSL for Telethon in 2014. HamSphere operators are very keen on sharing received and sent QSL cards with others. So we have created a new facebook group for that purpose. During Sep-Nov we saw 16877 active users from 187 countries. 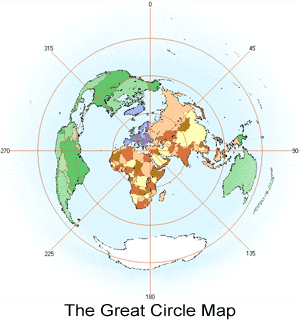 The total number of countries represented is currently 232. HamSphere has three kinds of users: Trial, DX-Users and Subscribers. The Trial users can test the software for 7 days then they can decide whether they want to continue as subscribers or not. For third world countries and countries with lower standards of living we offer a so called DX-User account which gives the user "free-to-air" access to HamSphere. The DX-List is loosely based on PayPal's implementation of their payment system in combination of the country's BNP. Countries without PayPal access are automatically on the DX-List. My name is Paul and I am from a small town in Southern California called Castaic - Chumash Native American word, Kashtek meaning…eyes! We are 40 miles north of Los Angeles at the base of this mountain range. Patrice and I have been married 44 fantastic years and have 2 children and 2 grandchildren. 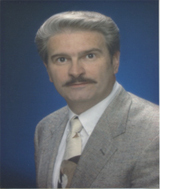 I am a retired businessman having been in upper management as a Director of sales, marketing and new product development and as a manufactures' rep. I found out about HamSphere from a ham friend of mine from New Zealand. I was on my 2nd trial day and thought this program was just brilliant and signed up right then on 07-19-2011. What a great hobby this is and of course fantastic software and I can’t wait for HamSphere Version 4.0. I am a Mac computer user and help out in HamSphere tech support. So if you have a Mac computer issue with HamSphere send in a support ticket. When you see me on frequency please give me a call and I will be glad to respond. I am a native of a small town in Western North Carolina, the gateway to the Great Smoky Mountains. I left there at an early age and finally took up permanent residence in South Carolina called the Upstate area. I am a graduate of the University of South Carolina. I am a retired Corporate Accountant. My wife Donna and I were blessed with 3 children, one of them passed away a couple of years ago. We have 3 grandchildren. I found HamSphere in September 2010, and I have been delighted with the program ever since that time. Not being a licensed Ham, you can imagine my delight in finding this wonderful VOIP program, which replaced my SWL listening. Also, I am delighted and honored to be chosen as an Admin in 2011. HamSphere has allowed me to make contacts that I would never have been able to do. For this, I am ever grateful. I am a Community Volunteer, and my wife and I are thankful that we have a Jack Russell and a Dachshund that allow us to live with them. So, my profile is not nearly as glamorous as some others, but I am proud to be accepted by my fellow Admins who have been most helpful to me as I continue to learn. If you see me on HamSphere, please give me a call. DX from the following countries have been heard over the past months. 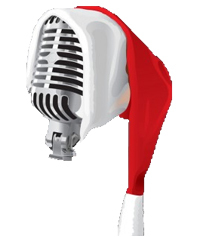 The DX Power Hour Of Music presents, " Holiday Music " on 06.225.00 MHz. in the BC band. December 15th start time 2pm local E.S.T., 14:00 hrs. UTC, 2 hrs. December 22nd start time 3pm local E.S.T., 15:00 hrs. UTC, 2 hrs. December 25th start time 1pm local E.S.T., 13:00 hrs. UTC, 2 hrs. 73 and I look forward having you! If you still are a trial user, this newsletter comes with an extension of your trial account. So open up your HamSphere transceiver now and start making some QSO's. See you on the bands and have a good DX! We have now received over 17,000 recommendations on Facebook – Thank you FB users. And thank you to over 3500 followers on Twitter. Super!! 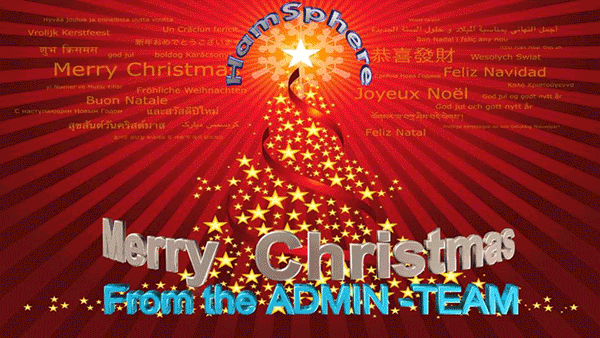 Merry Christmas and a Happy New Year, from your HamSphere team.